A network set up by connecting two or more computers through communication channels is called computer network. It enables computers communicate with each other and to share commands, data and hardware and software resources. As the name suggests, the local area network is confined to small geographical area like within an office, company, school or any other organization. Ethernet cables are used to set up LAN. 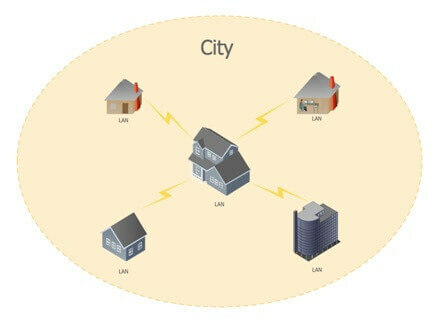 Metropolitan area network extends over a metropolitan area like a city or town. It is set up by connecting the local area networks of the city or town. It is ideal for the people of a particular region to share data or information. 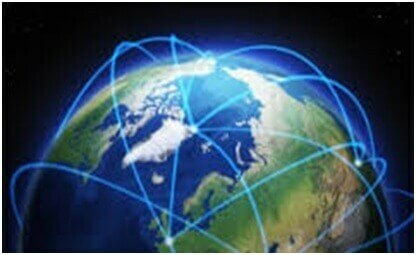 Wide area network covers large geographical area. It is not confined within office, school or a town. It is mainly set up by telecommunication lines. Big organizations like banks and multinational companies communicate with their branches and customers through WAN. Internet that we use is also a WAN.